In Galicia Brusilov’s offensive rolls on. The Russians have inflicted a crushing defeat on the Austro-Hungarians. In some sectors they have advanced almost a 100 kilometres, an astonishing distance by the standards of this war. Austro-Hungarian losses are devastating. Since the start of the offensive they have lost some 6,740 officers and 319,500 men. The collapse of Habsburg morale is demonstrated by some 186,850 of these losses being classed as missing, with the Russians having captured vast numbers of prisoners. Reinforcements are being rushed to Galicia, both Austro-Hungarian troops from the Italian front but also German troops. But on the Western Front the British and French are preparing their Somme offensive, while the Italians are preparing now for another attack along the Isonzo. The Allied hope is that these combined assaults will swamp the enemy, forcing the Germans and Austro-Hungarians to spread their reserves too widely to be effective. This might just be the summer of Allied victory. In the Trentino, Italian troops are attacking the Austro-Hungarians, trying to dislodge them from their recent gains. The Italians find the going tough, as the enemy have prepared their positions well. Meanwhile all is not quiet in the Isonzo sector. While the Trentino Offensive threatened to knock Italy out of the war, skirmishing continued here as the Austro-Hungarians sought to distract the Italians and prevent them from bringing men away to the west. These diversions have continued even after the end of the Punishment Expedition. Today near Mont San Michele the Austro-Hungarians have a new present for the Italians. They release a cloud of phosgene and chlorine against them, the first time poison gas has been used on the Italian Front. The Italians have been issued with gas masks but many have mislaid them, thinking they will not be needed. Those who manage to find theirs then discover that they are ineffective against phosgene. Some 2,000 men die in the gas attack, with another 5,000 injured. The Austro-Hungarians tentatively occupy the Italian positions, afraid of their own poison. 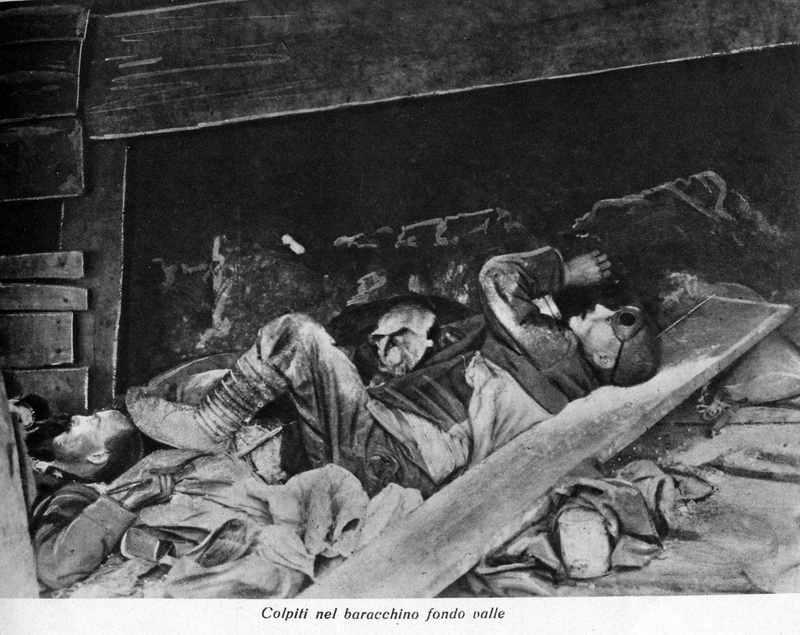 Italian reserves evict them later in the day, finding the trenches still occupied with their gassed comrades. For people in Britain and Ireland the Somme is the big battle of the First World War. As the anniversary of its first day approaches there are a number of commemorative events taking place here in Dublin that readers may be interested in. The National Library of Ireland has a number of events taking place over coming weeks. A History Ireland Hedge School on the Battle of the Somme is being hosted by the editor of that magazine on the evening of the 19th July. For me though the particular highlight of the National Library’s events is their screenings of the 1916 film The Battle of the Somme. This was a propaganda film released in 1916 while the battle was raging, mixing documentary and staged footage. It was enormously popular on its first release, being seen by some 20 million people in the first few weeks of its release (possibly making it the most seen British film ever made). The Library will be showing it from the 11th of July. The image at the top of the page is a still from the film, taken from Wikipedia. I also recommend the National Library’s exhibition on Ireland in the Great War. The National Museum of Ireland in Collins Barracks has its own series of events relating to the Somme and the First World War. They are also organising screenings of The Battle of the Somme, on the 2nd, 9th and 23rd of July, with introductions. Re-enactors will be displaying replicas of uniforms and equipment used at the Somme. Meanwhile, in conjunction with the Goethe-Institut, a piece of sound art called Voices of Memory by Christina Kubisch will be in the War Memorial Gardens in Islandbridge from 29/6/2016 to 30/9/2016. From the description, this will consist of voices reading the names of the 49,000 Irish people killed in the Great War, together with other recordings of ambient sound. The War Memorial Gardens are a place of great beauty and it is always worth having an excuse to visit them. Finally, the Abbey Theatre is staging Frank McGuinness’ play Observe the Sons of Ulster Marching to the Somme in August. 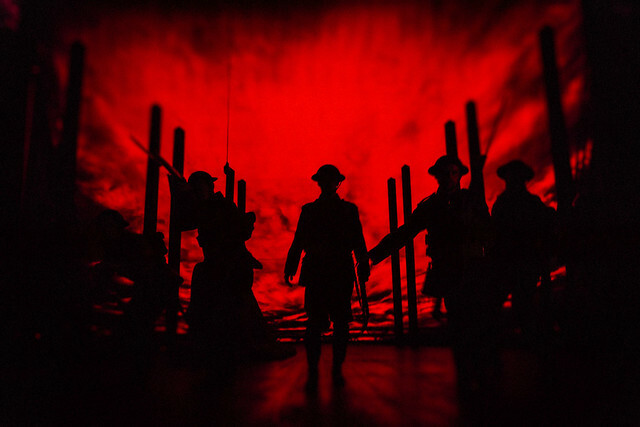 This modern classic of Irish theatre tells the story of some Ulster soldiers who took part in the carnage of the Somme’s first day. Preparations for the Anglo-French Somme offensive are continuing. Allied guns have been firing for the last two days. Initially they were targeting the barbed wire obstacles in front of the German trenches but now they lift and begin to blast the enemy positions. Haig, Britain’s Western Front commander, thinks of the Somme as a breakthrough battle. He hopes that in the first day British troops will smash through the German positions, clearing a way for cavalry to push on and attack distant targets. As a result British shelling is not being concentrated on the German frontline trenches: the bombardment is spread over the whole depth of the enemy trench system. The effect will unfortunately be to dissipate the efforts of the gunners over a wider area. The British had hoped to use aircraft to observe the effects of the shelling, so that the guns could be redirected to ensure key targets were destroyed. The weather has however taken a turn for the worse. Low cloud cover means that aeroplanes are unable to see what damage is being wrought. Still, so many shells are being fired at the Germans that they surely will not be able to put up much resistance when the infantry go over the top. Austria-Hungary’s Conrad took a bold gamble when he launched his Trentino Offensive against Italy. His hope was that his men would be able to storm down from the Trentino uplands to the coast, cutting off the main Italian army on the Isonzo. If all went according to plan, Italy would be forced out of the war and the prestige of Austro-Hungarian arms would be restored. Conrad depleted the Russian front to supply men for Trentino, gambling that the battered Russians would be in no fit state to launch a major offensive. Conrad’s plans have gone awry. The offensive shook the Italians, but the Austro-Hungarians never made it down to the coastal plains. Perhaps given time they would have done, although they were already beginning to suffer from exhaustion and over-extended supply lines. However the final nail in the Trentino Offensive’s coffin was Brusilov’s Offensive in Galicia. This has so shattered the Austro-Hungarians there that Conrad has to send every man he can spare to staunch the Russian tide. This has forced him to halt his attacks on the Italians. The offensive has cost the Austro-Hungarians nearly 100,000 casualties, while the Italians have suffered approximately 147,000. Now the Austro-Hungarians withdraw to prepared positions, abandoning much of their recent gains. Verdun carnage continues. Germany calls off the U-boats, again. Austria-Hungary attempts to knock Italy out of the war. Britain and France divide up the Middle East. 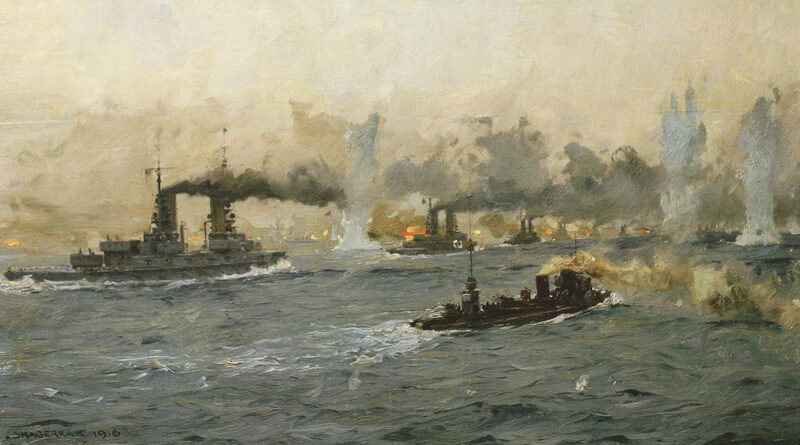 Jutland: the largest naval battle in history. Yesterday German assaults appeared to have brought the French at Verdun to the brink of collapse. Knobelsdorf is directing the battle for the Germans. He had hoped that today his men would capitalise on their successes and press on to Verdun itself, winning a victory that would shatter French resolve to continue the war. But if there is a tide in the affairs of men then today it goes out for the Germans. The French defenders recover their poise, reinvigorated by reinforcements; they fight desperately to hold back Knobelsdorf’s men. The Germans have been advancing on a narrow sector of the front; now French artillery shells rain down, disrupting the assault troops’ supply lines. Knobelsdorf’s men are hungry, thirsty and exhausted. Short of ammunition and their ranks depleted in the brutal fighting, they are in no state to press the French further. The German assaults on Verdun may be coming to an end. The French are running out of men to commit to the battle but the Germans too are finding that they do not have an inexhaustible supply of men to feed into the mincing machine. Falkenhayn is having to send men east to prevent Brusilov’s offensive knocking Austria-Hungary out of the war. Now with the guns firing on the Somme he knows that the British are preparing something big there. He must keep men in reserve to meet whatever the British are planning and cannot afford to keep sending more men to be killed at Verdun.